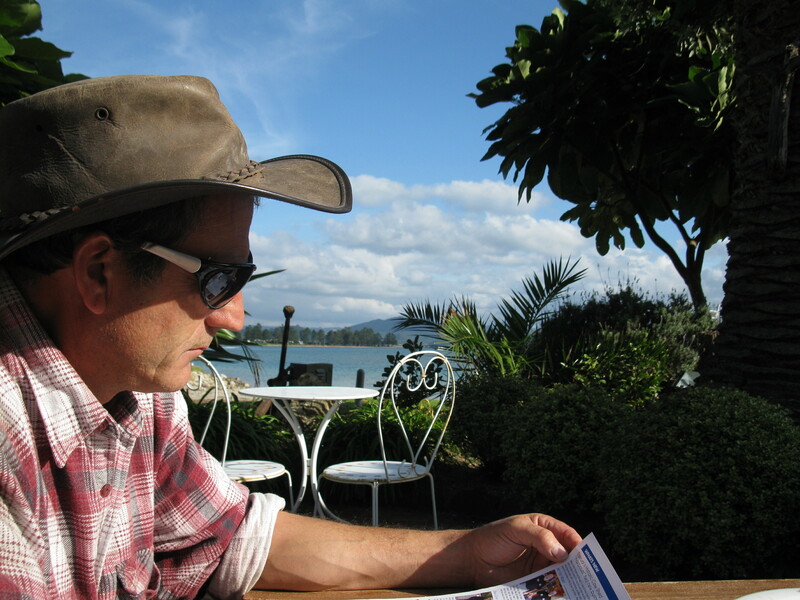 It doesn’t always take a long break or a visit to distant shores to recharge your batteries. 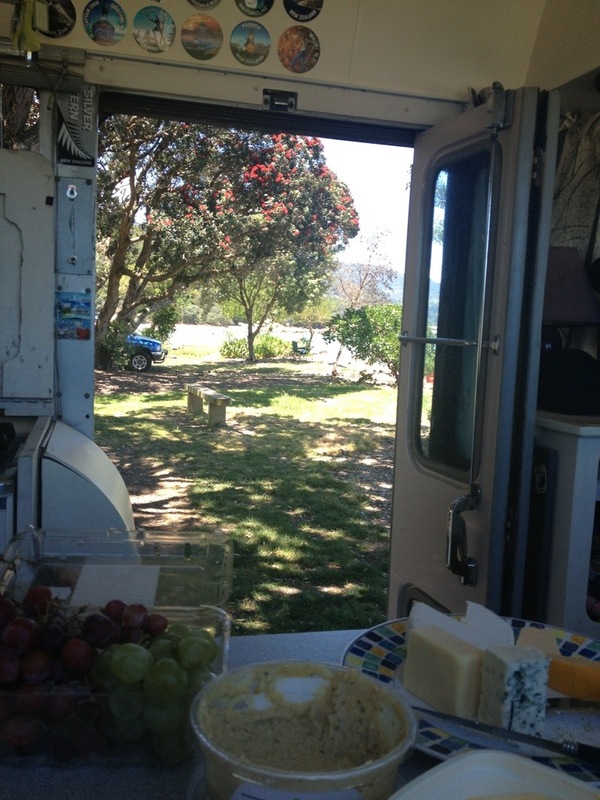 For me it took two nights away in the Kiwi Blog Bus this weekend with a little shopping, lots of food, a Santa parade and lots of doing nothing in the shade of a pohutakawa tree. 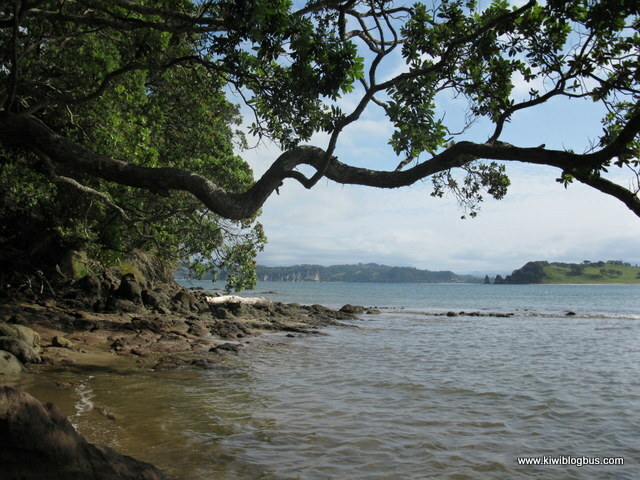 Stopped for lunch in a beautiful Coromandel bay north of Thames, the pohutukawas are stunning. Waterworks: surely the best fun you can have with recycled objects?! 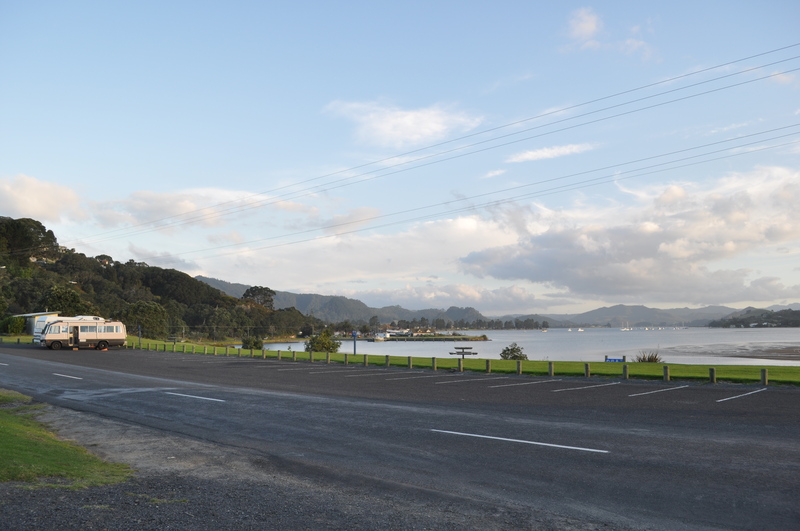 After a fantastic journey around the Coromandel peninsula we decided to travel inland from Coromandel Town on the infamous 309 road; a winding gravel road which connects the east and west of the peninsula through spectacular scenery and offers lots of interesting sights. 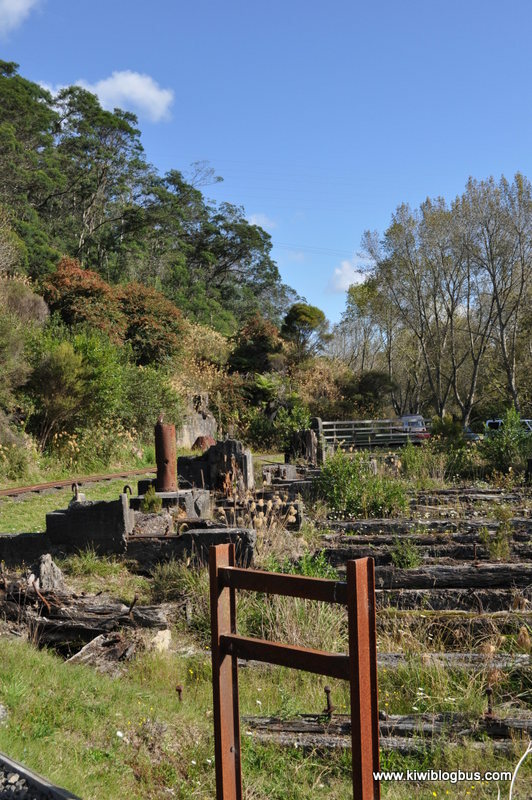 Situated within a large bend of the Ohinemuri River, opposite Waikino village, are the remains of a revolutionary gold processing plant that was once New Zealand’s biggest and best. We called in at Thames on the way home the other day. 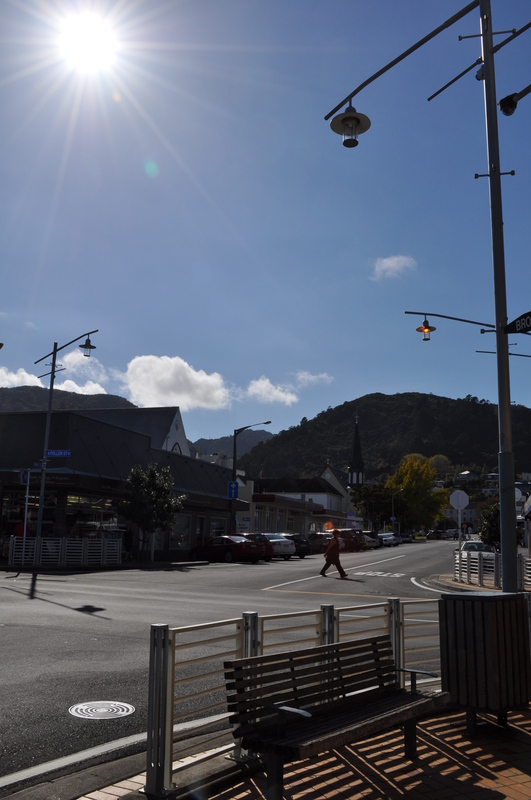 The old gold-mining town in the Coromandel is a particular favourite of ours and we like to stop and have a look round every time we are passing. 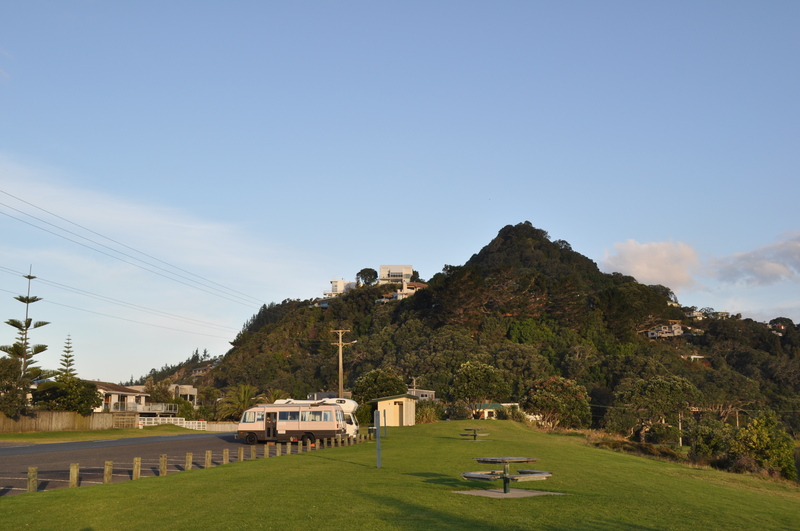 There is a small car park overlooking Tairua harbour where, in an attempt to manage freedom camping, the local council have allocated two free overnight spaces for self-contained campervans. 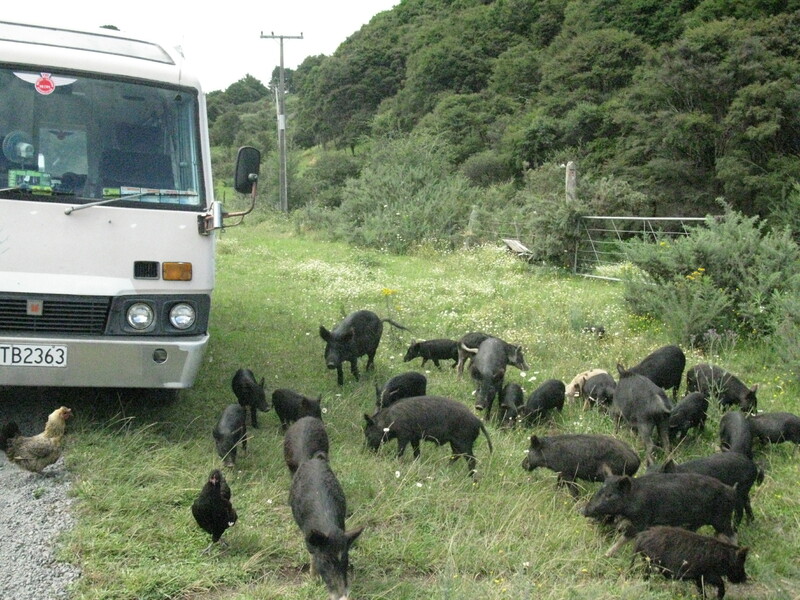 Earlier this week we were lucky enough to get one of these much prized parking spots for the night. Down at the beach… are you sure it’s Autumn? 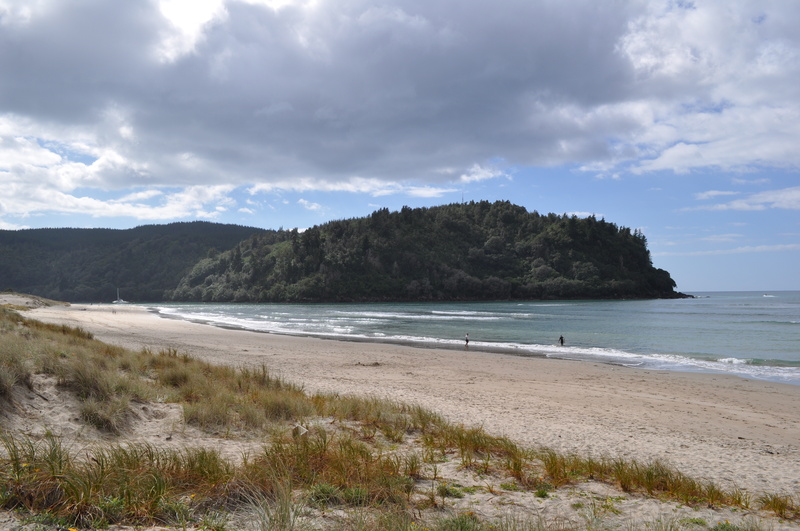 Part of our recent trip away involved a night at Whangamata in the beautiful Coromandel. 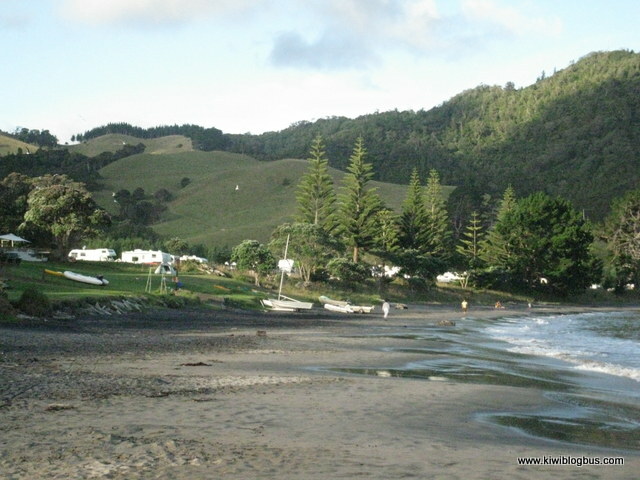 We stayed overnight in an avocado orchard (an NZMCA POP site) which we have visited before, and then went into town for a spot of shopping and to visit the beach. Surely what school holidays were invented for?